and it really does look like they've set the record for selling fast! Selling faster than the very very well known artists from the U.S. It's kind of amazing how big K-pop has become. This picture was taken in Chile while they were performing. You think Chile looks heated up? 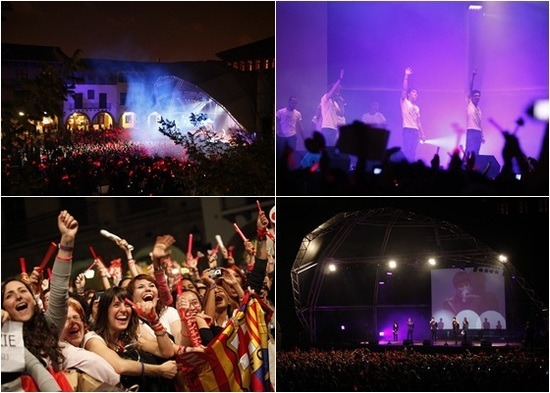 because people spent their night lining up in the streets just to get the tickets for the concert....!!! 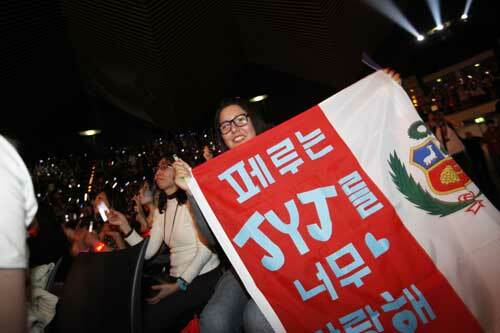 Below says, "Peru loves JYJ so much!" 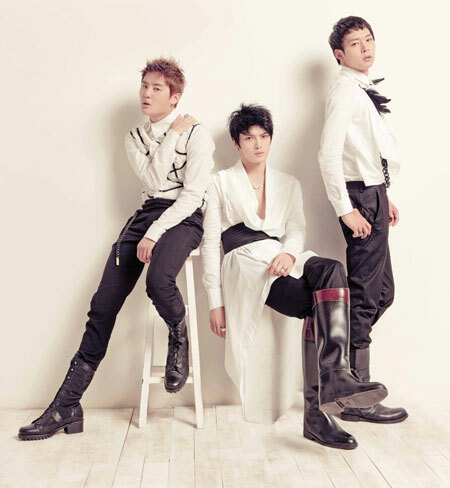 Look at all the love JYJ's receiving. and they really were good. so I'll show you a video of how it was. ...and this was in Chile. Heated up!!! maybe look up their songs on Youtube. Many of their song titles are in English, so you guys shouldn't have to type Korean to look them up.